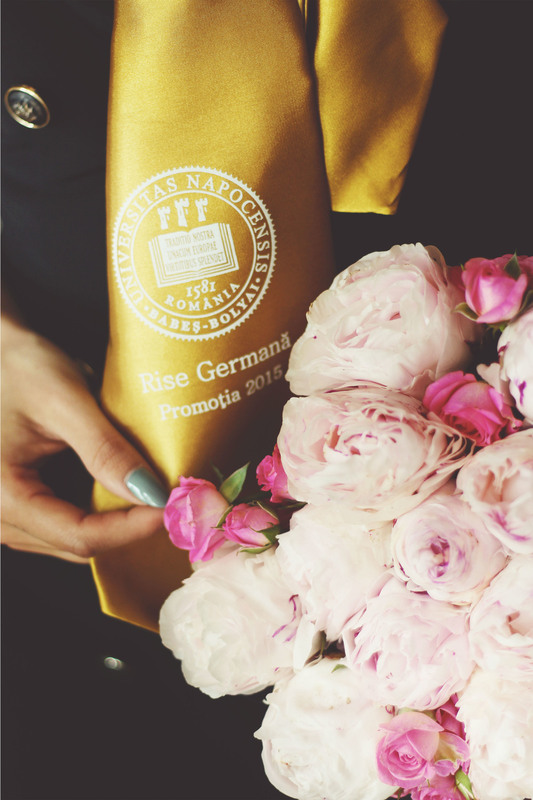 As you probably noticed, I just had my graduation ceremony for finishing 3 years spent well at the European Studies private little German corner of the U.B.B. University in Cluj. It feels like these years have gone by in a flash, almost like waking up in a terribly sleepy morning, of dreaming about growing up, while still at school, in 12th grade. How ever time passes and how our perceptions always fail to realize that yesterday.. was mere yesterday, not more than a few years away, will forever be a mystery. It may seem that nothing changed, but when you look back, you find out in a flicker of emotion, that nothing is actually the same. And that it all matters, but in a different way than we can appreciate at the very moment things are happening. "What am I doing here? "I 'm asking myself right now. Why am I going on and on about time when I should speak of academic research, new friendships and student adventures?? If I were to be honest with myself, the answer would be simple. I'm not satisfied with the amount on knowledge I've gathered, the memories I've made and the relationships I've tied. More is a greedy word, but it fits right in my vocabulary of the moment. It says a lot about these 3 years, of more everything, but still not enough. I wonder If it ever is enough, you know? If you ever feel you've had all you could have and tried all you had the chance to.. I wish I did, though I'm grateful for one special thing this university has thought me. It may not have been the most difficult years of my life, nor the most challenging, at least not when it came to my studies. I let other passions take over my time and I am happy I let them, but this one thing has changed me in a way probably nothing else ever will. It taught me not to be ignorant. I swear - it has made me a better person. A soul first human being with a heart and mind that work together. You see, I've never tried putting myself in somebody else's shoes before so often. This university has thought me to think from all perspectives, all at once. To leave mine in the background for further edit, until I am for sure satisfied with having all other opinions covered. To be critic and observative. To resonate with beliefs and emotions that I may never have felt myself. To acknowledge that human rights are not something we were born with, nor something given from above. They are made by humans, for humans and they shortly became a reality we take for granted. No one has 100% security in life, no matter where they are, but if everybody was to care about the other, than this wouldn't be the case any longer. This years I've learned that if you want things to change, you have to be the change. Believing is never enough. This word, more, is always present. And here I am, still young, still naive, still lost in the fantasy of chasing all my passions, all at once. I'm going after the end of the rainbow with a fuller heart and open eyes. With thirst for variety, differences and peace. And now, after 3 years of thinking together with these wonderful people they call teachers, professors, doctors in politics and psychology and philosophy, I can honestly say that my life has been touched. because after these 3 years, I've finally taken to mind that there are people less fortunate, still struggling in another corner of this world. and I will have people to thank for it. If I were to talk about the event I would only say a few little things that you should keep in mind when attending your own. First, that you should dress properly. 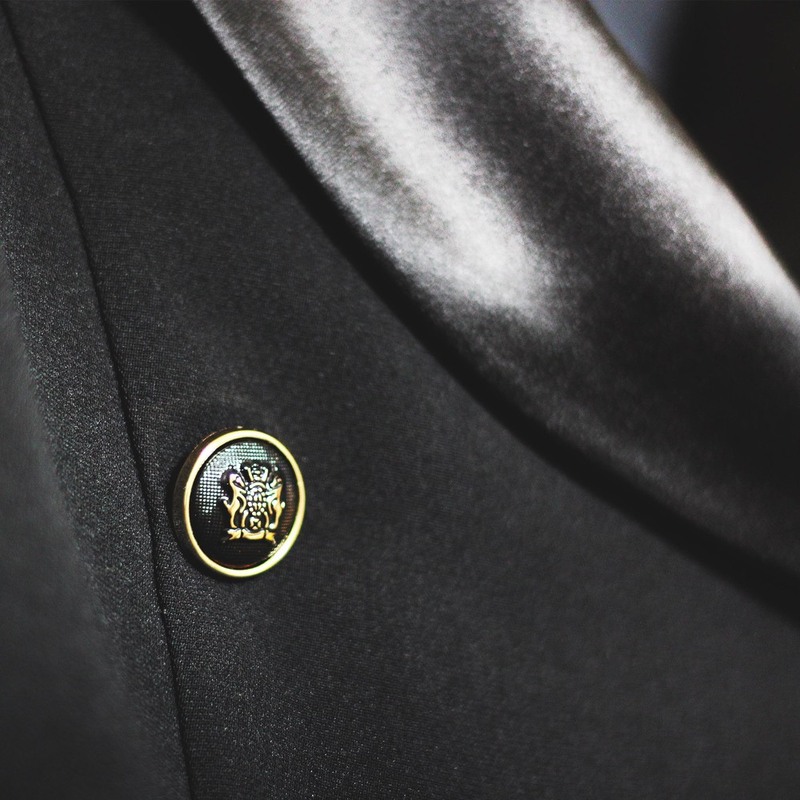 A formal occasions calls for elegance in a discreet manner. Do your best to look serious and respectful. Diana from Xenia Design, which you probably all know of by know, has went of her way to make this particular dress of mine be sharp and diplomatic, all while embracing my body's shape and my delicate tastes. Make a statement with what you wear for the you that has grown and evolved. What do you want your outfit to say about yourself ? Fashion is just another way of communicating, so be sure you're saying things like "I have grate respect for both my lectors, as well as my parents and myself. ", rather than "Uh, where's the beach party dude?" ..Okay? Also, try matching your outfit to the accessories that come along, like the scarf with the universality's symbol. Oh, and please, please, keep your make-up decent. This is one of the very few times I'm going to tell you that a smoky eye is a bad idea, so make an effort at least this one time. I went for lash extensions for a subtle, yet beautiful look. Second, that it it is emotional. Be ready for that. Make-up and all, have a tissue and man up. ..Well, at least for me it was. I was moderating the whole thing, which supposed I should speak in public. That didn't come as a worry for me until I realized that my voice was shaking for trying to calm down. It wasn't anxiety, don't get me wrong. It was that hot feeling in your throat that you try to get rid of when breathing in deeply. That shiver when you know you're just one second away of crying like a baby in the middle of the night. Well, that was it. Gaudeamus igitur. Iuvenes dum sumus. Post iucundam iuventutem. Post molestam senectutem. Nos habebit humus..